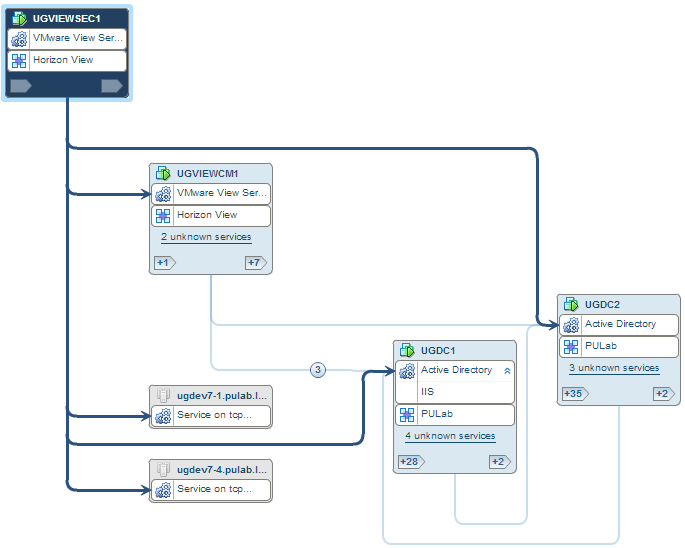 VMware Hyperic is the perfect complement to a whole range of applications for vSphere environment monitoring. 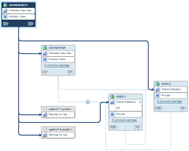 However, compared to VMware Operations Manager, LogInsight and Infrastructure Navigator, VMware Hyperic is more than just another probe servant to collect data (which does not change the fact that highly accurate probe). With it, you can load up to tcServer or Apache Tomcat application and run it. You can automatically restart a application service that stopped working, you can start emergency plans containing a range of activities carried out step by step in case of emergency. 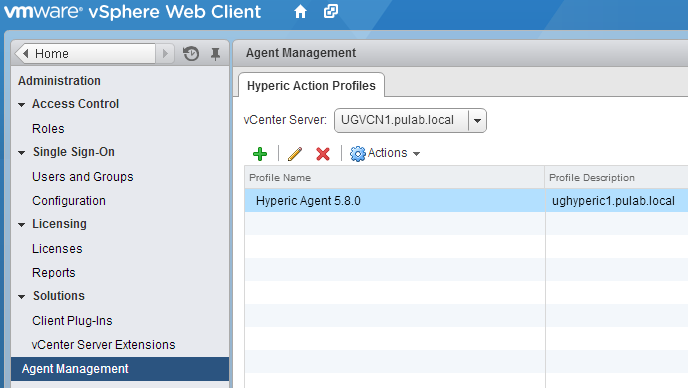 In this article I will describe one of the underrated function of which is to integrate the vSphere Web Client with VMware Hyperic. 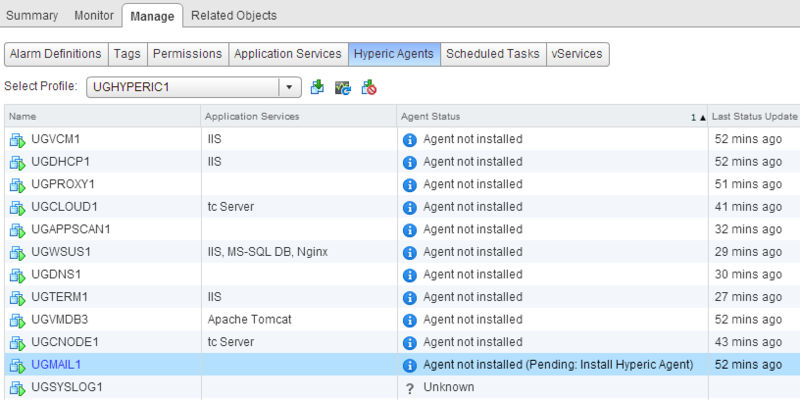 With this integration, it is possible to install the Hyperic agents from the Web Client and monitoring their status! 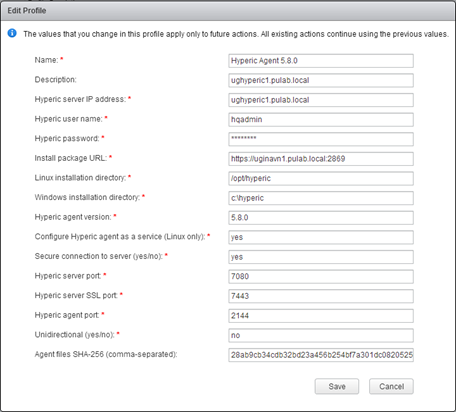 VMware Hyperic 5.8.2 is currently the latest release, the installation files can be downloaded in any configuration. However, I recommend the appliance containing (vCenter-Hyperic-5.8.2-EE.ova), a machine with Hyperic (and agents) and additional machine with vPostgres. 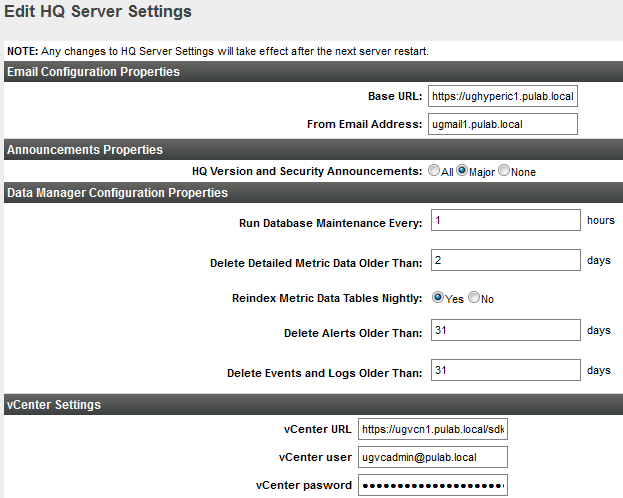 We can of course install the Hyperic Server on Windows and PostgreSQL database anywhere and everything will work. But how many times I’ve written on this blog, and yet not once write, VMware turns towards to Linux, and supply products as ready-configured appliance. Where this is already possible, let’s benefit from this solution. In addition to the Hyperic server, we need to have installed and configured VMware Infrastructure Navigator 5.8. VIN is a very nice service, analyze our environment and shows graphically the relationship between the individual applications. Graphic form can be used in the creation of documentation, but it is also possible to export the tables as the CSV files . This allows Hyperic knows that he has to deal with virtual machines. What is the advantage as to the integration? Basic is that it removes the need to manually install the agents on the machines (the process is quite tiring). Possible becomes a mass installation of agents. 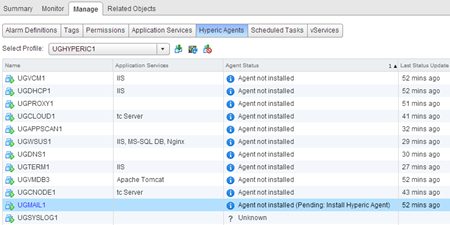 In complex environments where vCenter Hypric is extensively used, the ability to quickly check of the agent status is not irrelevant. 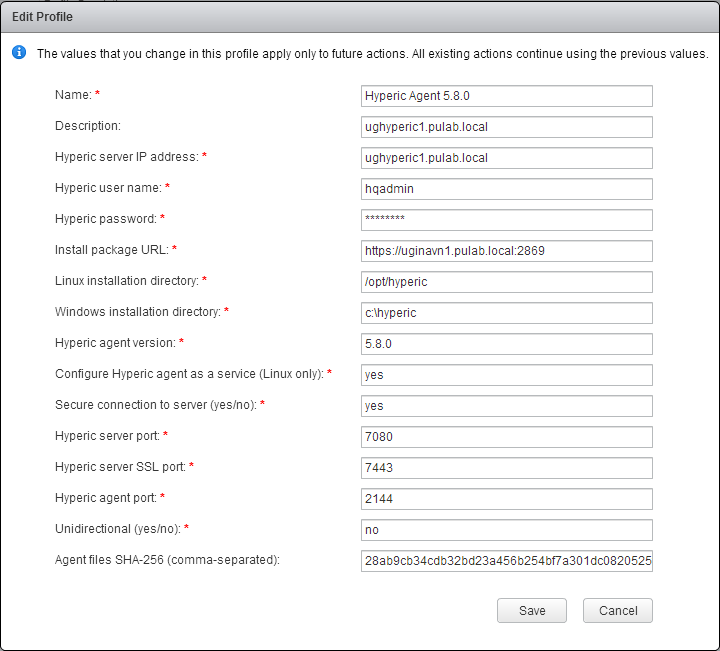 This is useful also if we are going to use vSphere App HA. 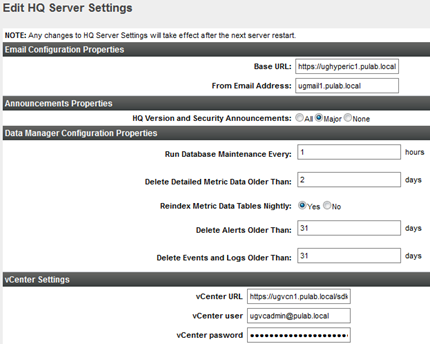 I have a problem with my Hyperic Version 5.8.2. i have recent update my TC instance from 3.1.0 to 3.1.1. But Hyperic console shows the current version as 3.1.0 instead of 3.1.1. please help me. my email is dileeptikkisetty@gmail.com. I have a vC environment with abt 50 VMs. I had a Hyperic setup and i used the above method to install agents on most of them. Now i hav scrapped the hyperic and reinstalled it (with same IP and credentials). The problem now is the vC shows the VMs have an agent installed but it never appears in the Hyperic Dashboard. It would be very helpful if you could point me in the right direction. This is normal, you lost auth tokens between agent and Hyperic server. You need to run “bin/hq-agent.sh (bat) setup” on any agent and say yes to this question: Would you like to re-setup auth tokens? Thanks for the reply. Is there a way to automate the process, or I’ll have to RDP to all windows machine and do it and putty to all linux VMs and do it?